Reading comprehension is critical–even if your student is the most fluid out loud reader…are they really understanding what they’re reading? Reading comprehension weaknesses can be sneaky because it can be difficult to identify. 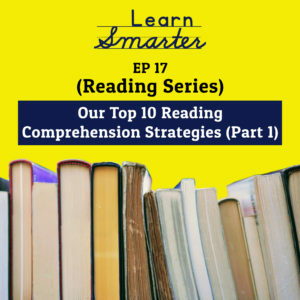 In this episode, Rachel & Steph dig in to why students can pretend they understand what they’re reading (when they don’t) and give you some of their favorite reading comprehension strategies. Next week, they’ll share the rest of the strategies and the Key Takeaways they want to make sure you know. There are two major components of reading: decoding and comprehension. Decoding is sounding out and reading the words. Reading comprehension is understanding what you are reading. It is really apparent when a student is struggling with decoding because you can detect it when they read aloud. Reading comprehension struggles can fly under the radar. Before we move forward in giving you our ideas and strategies we want to make sure you know that we are not intending for you to try everything at once. It is not reasonable, achievable, or realistic. We suggest you pick one or two of these strategies that you think your child is going to connect with the most and start there. 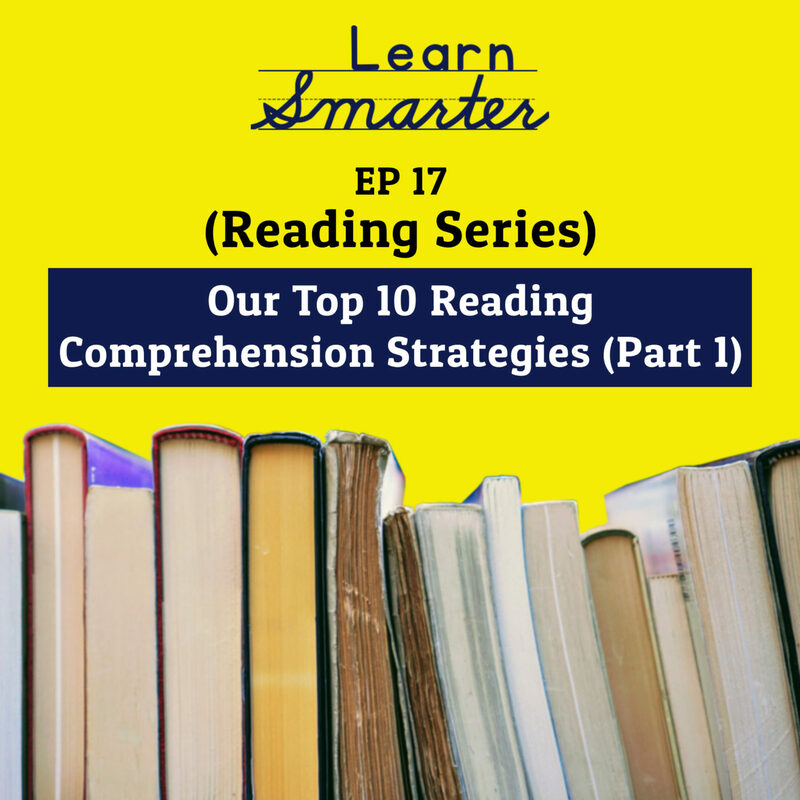 With that said, we are going to discuss some of our top strategies for students who struggle with reading comprehension. We will continue to talk about reading strategies in our following blog (blog 18) as well. Look at the book cover as well as the book art and get a sense of what the book is about. Read the back of the book. Use Sparknotes to find out what the story is about ahead of time. Write questions on the sticky notes such as the W’s (who, what, when, where, why). Use some sticky notes for the child to draw a picture of what just happened at that point in the book. Help your child use the details in the book to put together images. Audiobooks remove the burden of decoding, allowing the reader to focus on story, plot, and characters. Pro Tip: Reading the book while listening to the audiobook is one of our favorite strategies.